Abstract: Monitoring raptors along migration corridors can be used to assess changes in population size. The Balkan population of the endangered Egyptian Vulture Neophron percnopterus is declining rapidly, but no trend information exists of the larger adjacent population in western Turkey. In September 2013, we explored 13 localities around the gulf of Iskenderun, southern Turkey, to establish whether long-term migration monitoring would be possible in the area. We found that the small hills north of the gulf of Iskenderun were consistently better for observing migration than locations at the Belen pass, southeast of the gulf. Long-term raptor monitoring should be established at three points north of the gulf of Iskenderun near the villages of Sarimazi and Selimiye. If attended by 2–3 observers mid August–mid October, these observation points would likely allow monitoring of the majority of Egyptian Vultures migrating around the eastern coast of the Mediterranean sea. 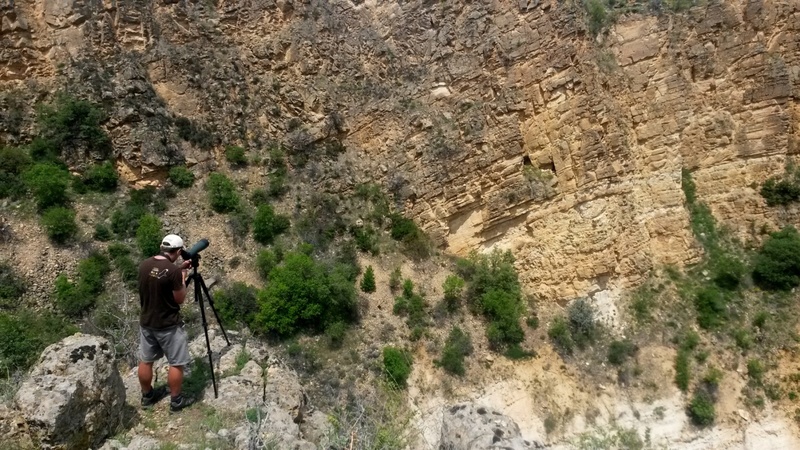 Summing observations at the 13 localities, we counted 552 Egyptian Vultures with a peak between 10 and 24 September. In addition, we observed >50 000 individuals of 24 other raptor species, with Lesser Spotted Eagle, Levant Sparrowhawk, European Honey Buzzard, and Short-toed Snake Eagle being the most common. Abstract: The Endangered Egyptian Vulture Neophron percnopterus congregates in communal roosts in the wintering areas and where food availability is high, where even a single threat might lead to substantial population declines. Thus, more research on the congregation sites is needed for timely detection of threats and effectively directed conservation measures. We studied bird numbers, use of roosting substrates and roosting habitat of wintering Egyptian Vultures in Ethiopia. Vultures were counted using the road-count technique in 2009, 2010 and 2013 along c. 600 km of roads in the Afar region. Over 1 000 individuals were counted each year and the sites with the highest congregations were identified. Nearly half of the birds were adults and the majority roosted on bird-safe types of electric pylons. Most of the Egyptian Vultures were found below 500 m above sea level, in bare areas, open savannas or grasslands, and their abundance was negatively related to the amount of cover of bush vegetation. The distribution of roosting birds was not affected by distance to human settlements. To avoid disasterous effects on the population of the Egyptian Vultures, we strongly recommend that the sites sheltering the highest numbers of roosting birds should be included in the Important Bird Area network, the use of poisons should be banned, and dangerous power lines should be insulated or substituted with safer types. Abstract: The Egyptian Vulture has been classified as ‘Endangered’ due to a rapid population decline in India and long term declines in Europe and Africa. Although the species has been reported to be declining in Eastern Europe, no quantitative assessment of the magnitude or the causes for population declines are available. We used monitoring data from the Balkan Peninsula to estimate changes in population size and extent of occurrence of Egyptian Vultures between 1980 and 2013. We quantified population trends in three countries (Bulgaria, Greece and the former Yugoslav Republic [FYR] of Macedonia) to assess whether population declines are similar within the Balkan range states. We found a rapid and consistent decline of the Egyptian Vulture population that was largely similar among the three countries ( λ = 0.940 in FYR of Macedonia, 0.951 in Bulgaria, 0.920 in Greece). As a consequence of population declines, the breeding range of Egyptian Vultures has contracted and the population in the Balkan Peninsula has fragmented into six subpopulations separated by more than 80 km. Population declines may be driven by factors such as poisoning, electrocution, direct persecution and changes in food availability which operate at large spatial scales and affect birds both on breeding grounds as well as during migration and wintering. Because the relative importance of threats to the survival of Egyptian Vultures are poorly understood, there is a critical need for research into causes of mortality and potential conservation actions that may halt and reverse population declines. 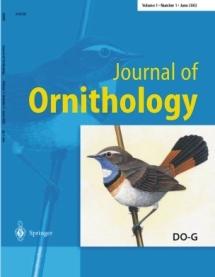 Abstract: Many populations of long-distance migrants are declining and there is increasing evidence that declines may be caused by factors operating outside the breeding season. Among the four vulture species breeding in the western Palaearctic, the species showing the steepest population decline, the Egyptian Vulture Neophron percnopterus, is a longdistance migrant wintering in Africa. However, the flyways and wintering areas of the species are only known for some populations, and without knowledge of where mortality occurs, effective conservation management is not possible. We tracked 19 juvenile Egyptian Vultures from the declining breeding population on the Balkan Peninsula between 2010 and 2014 to estimate survival and identify important migratory routes and wintering areas for this species. Mortality during the first autumn migration was high (monthly survival probability 0.75) but mortality during migration was exclusively associated with suboptimal navigation. All birds from western breeding areas and three birds from central and eastern breeding areas attempted to fly south over the Mediterranean Sea, but only one in 10 birds survived this route, probably due to stronger tailwind. All eight birds using the migratory route via Turkey and the Middle East successfully completed their first autumn migration. Of 14 individual and environmental variables examined to explain why juvenile birds did or did not successfully complete their first migration, the natal origin of the bird was the most influential. We speculate that in a declining population with fewer experienced adults, an increasing proportion of juvenile birds are forced to migrate without conspecific guidance, leading to high mortality as a consequence of following sub-optimal migratory routes. Juvenile Egyptian Vultures wintered across a vast range of the Sahel and eastern Africa, and had large movement ranges with core use areas at intermediate elevations in savannah, cropland or desert. Two birds were shot in Africa, where several significant threats exist for vultures at continental scales. Given the broad distribution of the birds and threats, effective conservation in Africa will be challenging and will require long-term investment. We recommend that in the short term, more efficient conservation could target narrow migration corridors in southern Turkey and the Middle East, and known congregation sites in African wintering areas. Abstract: A prominent threat to European vultures has been sanitary regulations that banned the disposal of livestock carcasses. Changes in food abundance following these regulations have been associated with changes in vulture behaviour and demographic parameters, but to what extent diet changes are responsible for population declines is poorly understood. The Egyptian Vulture Neophron percnopterus is the smallest and most threatened European vulture species and has an opportunistic and diverse diet. In Eastern Europe, the Egyptian Vulture population is declining more rapidly than elsewhere but there is little information on diet composition and the relationship between diet and demographic parameters to inform conservation management. We examined whether Egyptian Vulture population declines in Bulgaria and Greece may have been associated with diet changes that affected breeding productivity by monitoring breeding success and collecting diet remains from 143 Egyptian Vulture breeding attempts between 2006 and 2013. We found no relationship between diet diversity or composition and productivity. However, there was a significant relationship between occupancy rate of territories and diet diversity, indicating that occupancy rate decreased with a very diverse or a very narrow diet and a higher proportion of wild animals or a lower proportion of livestock in the diet. There was no temporal change in diet diversity in Bulgaria after admission to the EU in 2007. We conclude that it is unlikely that diet limitations on reproductive output are a critical threat to Egyptian Vultures on the Balkan Peninsula. The relationship between diet diversity and territory occupancy rate may indicate that adult birds with a very narrow or a very broad diet may be more susceptible to consuming poisoned carcasses, and more information on the effect of diet availability on adult and juvenile survival would be useful to inform and improve conservation management actions. and survival of Egyptian Vultures in the Balkans? Biol. Conserv. 198: 157-164. 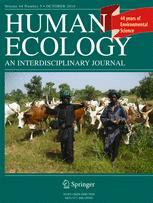 Abstract: Assessing the effectiveness of conservationmeasures to reverse population declines is essential to evaluatemanagement strategies.Management solutions such as direct protection or supplementary feeding typically aim at reducing mortality or increasing productivity, but demonstrating such demographic consequences of adopted management is often difficult. Here we assess the effectiveness of large-scale management actions aimed at the conservation of an endangered vulture on the Balkan Peninsula by extending a novel analysis to estimate seasonal adult survival from observations of unmarked individuals.Wemonitored Egyptian Vulture Neophron percnopterus breeding success and territory occupancy over 11 years in three countries during which both nest guarding and supplementary feeding were carried out. We found little evidence that nest guarding and supplementary feeding increased breeding propensity (mean = 0.88 ± 0.32 standard deviation, n = 463), breeding success (0.82 ± 0.39), or the number of fledglings raised by successful pairs (1.3±0.74).We estimated adult survival during the 23-week breeding season (mean=0.936, 95% credible interval 0.889–0.968) and found no significant increase due tomanagement. In the last 13 years 43 dead adult birds have been found during the breeding season, and 77% of confirmed mortalities were due to poisoning. Overall, the current management measures may have so far failed to halt ongoing population declines because the beneficial effects are insufficient to offset the loss of adult birds for example due to poisoning. We suggest that additional measures to slow the decline of Egyptian Vultures in the Balkans are required. In the short term, we urge governments to enforce anti-poison regulations that already exist. In the medium term, alternative approaches need to be developed that reduce the use of poisons and the associated accidental mortality of vultures and other wildlife species. Abstract: There has been much research about this threat among waterfowl species, but not so much for vulture and other large raptor species. Vultures would be exposed to lead intoxication when consuming carcasses of wild animals that have been shot but not recovered during hunting activities. Although conservationists have been campaigning for years against their use, hunting with lead ammunition is still permitted in most countries in Europe, while bans or simple recommendations to use steel ammunition instead apply only in wetlands.The article presents the case of Castor, an adult Egyptian vulture found in 2014 close to Kastoria, Northern Greece, with clear symptoms of lead poisoning. Lead levels in the vulture's blood were extremely high, measuring 3210 μg/L (values of more than 1000 μg/L are considered toxic). Although the X-rays revealed the absence of shots embedded in the vulture's body, it is known that lead is rapidly dissolved due to the low PH in raptor stomachs, so it can be quickly absorbed and cause sudden illness or death. To the best of the authors' knowledge, this is the first confirmed case of lead poisoning of an Egyptian vulture in the Balkans.Thus, lead poisoning is added to the long list of threats that the species faces in the Balkans and its wintering grounds. Some simple practices implemented by hunters, such as shooting only the prey they can retrieve and removing all the remains of hunted animals from the countryside, may contribute to lessen this threat. However, in the long-term only the complete banning of lead ammunition will ensure that no vultures die from lead poisoning. Abstract: Vultures and eagles are large and impressive raptors that have a special role in the symbolic lore of local communities worldwide. We examine species folk names, everyday aphorisms, place names, local stories, ceremonies and folklore in modern Greece to demonstrate ways local communities conceptualize emblematic raptor species. As populations of these species are reduced or become extinct, local knowledge about them also disappears. On the other hand, conservation campaigns are mainly restricted on vultures’ sanitary services and ecotourism potential, often overlooking intangible values that are more stable and deeply rooted in local culture. Traditional ecological knowledge, local values and perspectives hould be incorporated in reconstructing raptor public awareness profiles by modern conservation science for effective participatory conservation policy for these endangered species worldwide. Abstract: Avian scavengers are declining throughout the world, and are affected by a large number of threats such as poisoning, electrocution, collision with man-made structures, direct persecution, changes in agricultural practices, landscape composition, and sanitary regulations that can reduce food availability. To formulate effective conservation strategies, it is important to quantify which of these factors has the greatest influence on demographic parameters such as territory occupancy and breeding success, and whether quantitative models can be transferred across geographic regions and political boundaries. We collated territory and nest monitoring data of the endangered Egyptian Vulture Neophron percnopterus in the Balkans to understand the relative influence of various factors on population declines. We monitored occupancy in 87 different territories and breeding performance of 405 territory-monitoring years between 2003 – 2015, with an overall territory occupancy rate of 69% and a mean productivity of 0.80 fledglings per occupied territory. We examined which of 48 different environmental variables were most influential in explaining variation in territory occupancy and breeding success in Bulgaria and Greece, and tested whether these models were transferrable to the Former Yugoslav Republic of Macedonia. Territory occupancy and breeding success were affected by a wide range of environmental variables, each of which had a small effect that may not be the same across political boundaries. Both models had reasonably good discriminative ability (AUC for territory occupancy = 0.871, AUC for breeding success = 0.744), but were unsuccessful in predicting occupancy or breeding success in the external validation data set from a different country. Management focussing on a small number of environmental variables is unlikely to be effective in slowing the decline of Egyptian Vultures on the Balkan Peninsula. We recommend that in the short term the reduction of adult mortality through the enforcement of anti-poison laws, and in the long term the adoption of large-scale landscape conservation programs that retain or restore historical small-scale farming practices may benefit vultures and other biodiversity. Abstract: Changes in food availability that lead to lower reproductive output or lower survival probability are important drivers of the widespread declines in vulture populations. Permanent feeding stations for scavengers, such as vulture restaurants or rubbish dumps, may have both positive and negative effects on reproductive parameters. The paper “No short-term effect of closing a rubbish dump on reproductive parameters of an Egyptian Vulture population in Turkey” published in Bird Conservation International examines the effects of the closure of a large communal rubbish dump on breeding success and fledging rate of a dense population of the ’Endangered’ Egyptian Vulture Neophron percnopterus in central Turkey to assess whether the closure may have affected the population. A team lead by the Turkish BirdLife partner Doga Dernegi and supported by the RSPB monitored monitored territories from 2011 to 2016, and tested whether the closure of the rubbish dump in early 2015 coincided with changes in reproductive parameters while accounting for confounding variables such as weather and the availability of other predictable foraging opportunities. Тhey found an average productivity of 0.78 fledglings per territorial pair before the dump closed and 0.82 after the closure, an average breeding success of 0.64 before and 0.71 after the closure, and an average fledging rate of 1.17 fledglings per successful pair before and 1.26 after the closure of the rubbish dump. Once confounding variables were accounted for, the closure of the rubbish dump did not have a significant effect on reproductive parameters (P = 0.426 for nest survival and P = 0.786 for fledging rate). The Egyptian Vulture population in central Turkey may have sufficient alternative food sources and high levels of intra-specific competition due to its density, so that the closure of the rubbish dump may not have resulted in detectable positive or negative effects. The paper recommends the maintenance of small traditional animal husbandry farms and disposal practices that mimic the spatio-temporally unpredictable supply of food sources that appears to be most beneficial for avian scavengers. Abstract: Migrant birds face a number of threats throughout their annual cycle, including persecution, collision with energy infrastructure, and habitat and climate change. A key challenge for the conservation of migrants is the identification of important habitat, including migratory concentration areas, because species survival rates may be determined by events in geographically very limited areas. Remote-tracking technology is facilitating the identification of such critical habitat, although the strategic identification of important sites and incorporation of such knowledge in conservation planning remains limited. We tracked 45 individuals of an endangered, soaring migrant (Egyptian vulture Neophron percnopterus), over 75 complete migrations that traversed three continents along the Red Sea Flyway. We summarize and contextualize migration statistics by season and age class, including migration start, midpoint, and end dates, as well as linear and cumulative migration distance, migration duration and speed, and route straightness. Then, using dynamic Brownian bridge movement models, we quantified space use to identify the most important migratory bottlenecks and highuse areas on the flyway. These areas each accounted for <5% of the overall movement range of the tracked birds, yet >20% of all tracks passed through bottlenecks, and >50% of the overall vulture time spent on migration fell within high-use areas. The most important sites were located at the southeastern Red Sea coast and Bab-el-Mandeb Strait (Saudi Arabia, Yemen, Djibouti), the Suez Canal zone (Egypt), and the Gulf of Iskenderun (Turkey). Discouragingly however, none of the area within the major migratory bottlenecks was protected and <13% of the high-use areas were protected. This demonstrates a very concerning gap in the protected area network for migratory soaring birds along the Red Sea Flyway. Because reducing threats at migratory concentrations can be a very efficient approach to protect populations, our work provides clear guidelines where conservation investment is urgently needed to benefit as many as 35 migratory soaring-bird species that regularly use the Red Sea Flyway. Abstract: The Egyptian vulture is a globally endangered species showing a population decline in the Balkans of ~7% per year. A juvenile individual was tagged with a satellite transmitter in Greece and tracked to its wintering ground in Niger and Nigeria. Based on telemetry data, the bird was indicated as having died and two simultaneous investigations in both countries were done to reveal its fate. Local people were interviewed and we documented a case of an Egyptian vulture that was killed in Niger by a Nigerian hunter to be sold at a fetish market in Nigeria. Information about used techniques to capture vultures, the prices of vulture parts at fetish markets and their use in belief-based practices was collected. Different attitudes towards vultures were observed between Niger and Nigeria. In Niger, the attitude was more likely to be negative but there was no utilization of vultures, while in Nigeria, vultures represented a commercial interest due to the belief that vulture meat can bestow magical power. Although vultures are protected in both countries, there is an ongoing persecution of the birds by Nigerian hunters for trading purposes. More explicit investigation using a careful approach combined with appropriate awareness campaigns could be the ‘game-changer’ to stop this problem with its deep-rooted cultural basis. Περίληψη: Η παρούσα μελέτη περιγράφει τη χρήση δηλητηριασμένων δολωμάτων κατά των λεγόμενων «επιβλαβών» ειδών στην Ελλάδα και διερευνά διάφορες πτυχές αυτής της παράνομης πρακτικής. Τα δεδομένα συλλέχθηκαν από το 2000 έως το 2016 και εξετάστηκαν συνολικά 1.015 περιστατικά δηλητηρίασης σε αγροτικές περιοχές που προκάλεσαν τον θάνατο 3.248 ζώων. Στο 58,7% των περιστατικών που ερευνήθηκαν, τα κίνητρα παρέμειναν άγνωστα, ενώ στα υπόλοιπα περιστατικά οι συγκρούσεις μεταξύ ανθρώπων - άγριων ζώων και οι αντιποίνουσες ενέργειες μεταξύ των εμπλεκομένων (π.χ. κυνηγοί / κτηνοτρόφοι) βρέθηκε ότι αποτελούν το κύριο αίτιο για τη χρήση δηλητηριασμένων δολωμάτων. Τα ζώα-στόχος γι’ αυτές τις ενέργειες ήταν κυρίως σαρκοφάγα θηλαστικά και αδέσποτα σκυλιά, όλα κατηγορούμενα για την απώλεια κτηνοτροφικών ζώων ή θηραμάτων. Τα πτωματοφάγα είδη πουλιών ήταν τα είδη άγριων ζώων που επηρεάστηκαν περισσότερο από τη δευτερογενή δηλητηρίαση (30% των θανατηφόρων περιστατικών), ενώ οι ποιμενικοί σκύλοι αντιπροσωπεύουν το 66,4% των απωλειών κατοικίδιων ζώων. Οι τοξικολογικές αναλύσεις έδειξαν ότι χρησιμοποιήθηκε ένα ευρύ φάσμα χημικών ουσιών, κυρίως νόμιμων ή απαγορευμένων φυτοφαρμάκων (π.χ. καρβαμιδικά, οργανοφωσφορικά και οργανοχλωριωμένα) και κυανιούχο κάλιο. Επιπλέον, καταγράφηκε η ευρέως διαδεδομένη διακίνηση εντομοκτόνων που κυκλοφορούν στην μαύρη αγορά, με το Methomyl (σε μορφή σκόνης) και το Carbofuran να είναι το πιο συχνό. Η πλειοψηφία των περιστατικών δηλητηρίασης (72%) έλαβε χώρα εκτός προστατευόμενων περιοχών, ενώ σε ποσοστό 73,4% περίπου δεν πραγματοποιήθηκε καμία επίσημη αναφορά στις αρμόδιες αρχές. Συνολικά, η μελέτη τονίζει τον σημαντικό αντίκτυπο της παράνομης χρήσης δηλητηριασμένων δολωμάτων στην άγρια πανίδα στην Ελλάδα και αναφέρεται στην ακραία κοινωνικοοικονομική πολυπλοκότητά της. Αναλύεται η ανάγκη για μια ολοκληρωμένη Εθνική Στρατηγική κατά των δηλητηριάσεων. Velevski et al. (2015) BCI, 25(4): 440-450. Oppel et al. (2015) Ibis, 157(3): 545-557. Oppel et al. (2016) Biol. Cons., 198: 157-164.